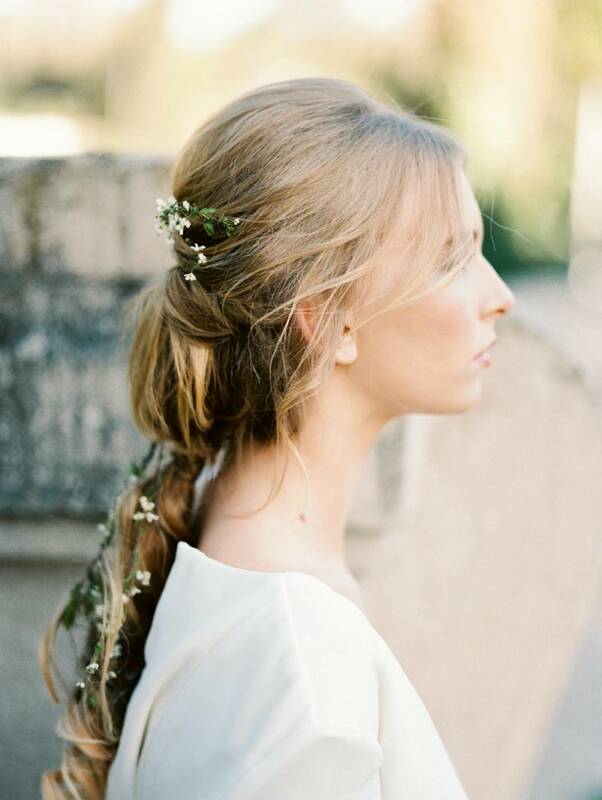 This simple bridal session by KATIE NICOLLE PHOTOGRAPHY is just downright dreamy. 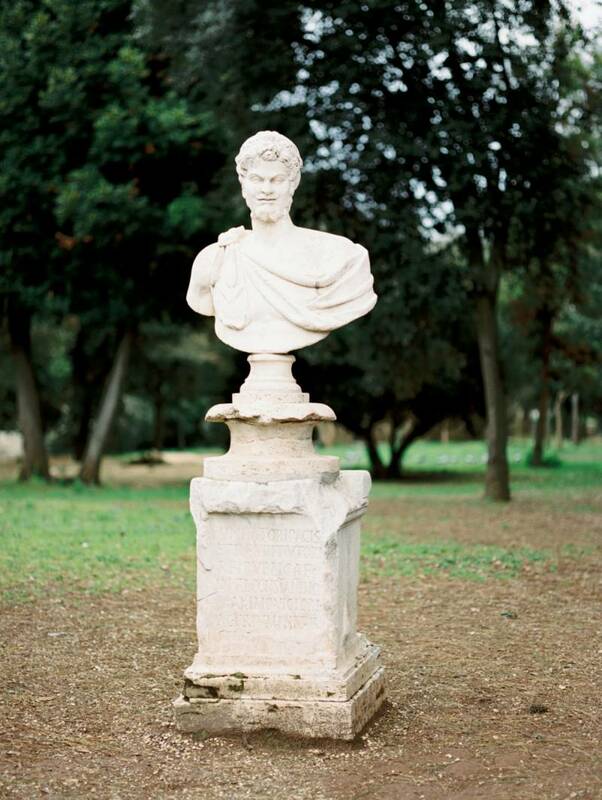 Captured in the gardens of Villa Borghese in Rome, Italy in the warm sunlight, the bride looks angelic as she wandered through the gardens. Her pale skin combined with the beautiful white gown from SASH & BUSTLE ensured she stood out among the dark bushy greens. Katie says, "We wanted to keep the shoot feeling simple and organic, so with that in mind we focused on the bride and the details surrounding her." 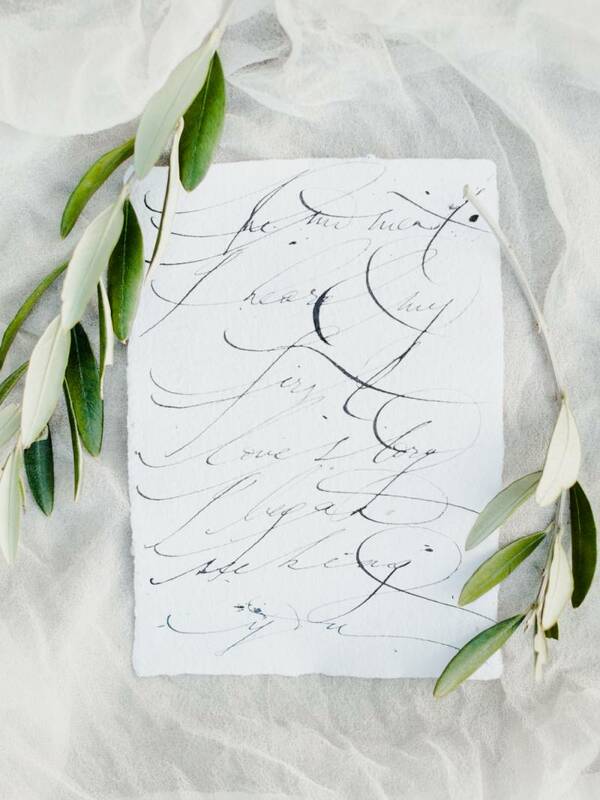 We're loving the organic styled calligraphy by CORSIVO CALLIGRAPHY as well as that sweet braided do by JANITA HELOVA.